A child cries, a father mourns, houses are demolished here and there, olive trees uprooted and merciless soldiers kill yet amidst all the chaos and death Palestinians manage to survive. Can we capture that glitter of hope using words and images? We&amp;#039;ve all read Joe Sacco&amp;#039;s amazing Palestine that fused the art of comics with journalism crafting a new level of creative storytelling. Now is the time to create our own Palestine. Writers, fiction writers and poets, illustrators, colorists, letterers and artists will meet together to create their own bilingual collective graphic novel about Palestine or as we call it in Arabic [Falasteen]. These creative individuals will express with their own words and lines their visions of Palestine. Once each artist submits his/her comic story our graphic novel will be launched and all proceeds from its sale will go to a charity in Palestine. 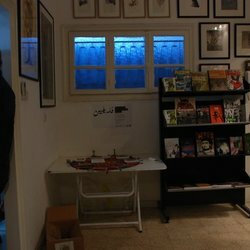 Palestine: The Graphic Novel لم يقيم بعد. A child cries, a father mourns, houses are demolished here and there, olive trees uprooted and merciless soldiers kill yet amidst all the chaos and death Palestinians manage to survive. A glitter of hope ... can be seen in their eyes ... Can we capture that glitter of hope using words and images? 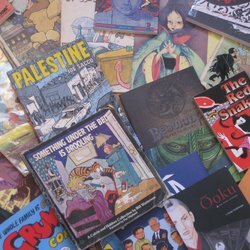 We've all read Joe Sacco's amazing Palestine that fused the art of comics with journalism crafting a new level of creative storytelling. Now is the time to create our own Palestine. Writers, fiction writers and poets, illustrators, colorists, letterers and artists will meet together to create their own bilingual collective graphic novel about Palestine or as we call it in Arabic [Falasteen]. These creative individuals will express with their own words and lines their visions of Palestine. 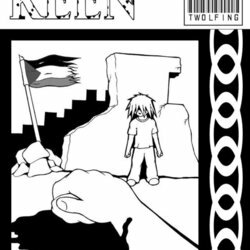 Once each artist submits his/her comic story our graphic novel will be launched and all proceeds from its sale will go to a charity in Palestine.